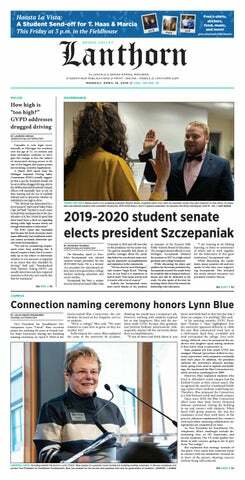 Last April, Grand Valley State University junior Natalie Masterton was getting ready to move back home for the summer when she received a phone call: A friend from home had just committed suicide. Following this tragic news, Masterton began to write every night after work to process her unexpected loss. She had been writing privately for some time in her journal, but after her friend’s death, she decided to use her writing to raise awareness about mental illness and offer comfort to those struggling themselves. Masterton is from a small town near Ann Arbor, which she described as a place where not much changes. She leaves for school and comes back for the summer and everything is basically just as she left it. But that spring, she said, everything had changed; the town didn’t know how to process the tragedy. Her poetry was a way for her to work through her own emotions while educating people about the risks of leaving mental illness unchecked. Masterton self-published her book “Clockworks” in August 2017, just months after her friend’s suicide. She decided to publish the book herself because publishing companies wanted her to choose 10 to 15 poems as an excerpt before agreeing to publish the book, and she thought all of the poems would have to be read together for her message to be understood. She chose the title “Clockworks” because her friend’s death caused her to think more about time, and many of her poems have that theme. “I have a lot of poems about time, and I think one of the things I struggled with a lot when my friend passed was, you know, our own mortality,” she said. “Animals don’t have a sense of time—they’re not worried about missing things or being late or anything—but we’re very obsessed with time, and that time is the third party in all our relationships. Many of the poems in “Clockworks” are about her friend and his relationships with others, as well as the need to understand mental illness and its warning signs. “There are a lot of poems about him,” Masterton said. “(One) favorite is one that says that mental health is just as important as physical health and that society has started to have a conversation about that more, but definitely a couple years ago it wasn’t something people talked about. “People thought depression was just a disease instead of saying, ‘You know what, people need help. We need to talk about this more so there’s not such a stigma around it.'" One of the most rewarding experiences for Masterton in publishing her book was seeing those from her hometown begin to understand or empathize with what they previously didn’t. It was also a source of comfort for some. “The coolest part since I published (the book) was that so many people from my hometown (bought) a copy and (said), ‘Hey, this got me through some really bad stuff, and you had a way of saying things that made me feel that someone else gets it and I’m not alone,’” Masterton said. Masterton is currently working on another poetry book, which she described as the “cousin” of “Clockworks.” She wants to continue to experiment with her writing and share her voice on meaningful topics. “Clockworks” is currently available for purchase on Amazon.com.